Why resort to charts and spreadsheets to find tube and pipe weights? 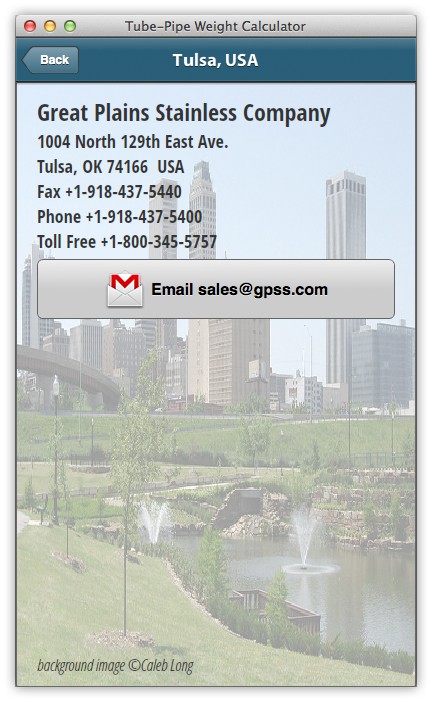 With these free applications from Great Plains Stainless, you can quickly calculate the theoretical unit weight and total weight of any stainless steel tube or pipe. For pipe, the weights will be based on the size, schedule and length of the pipe. For tube, it will be based on the OD, AW and length of the tube. Both Imperial and Metric measurement systems are supported. 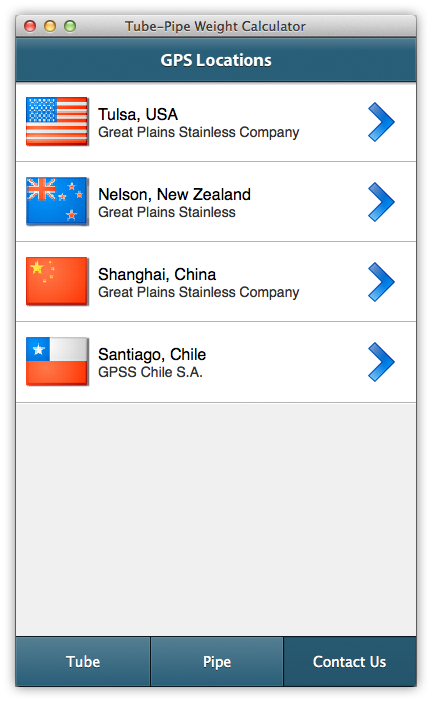 We offer three versions of the application, one for iPhone, one for Android phones, and one for your desktop computer (Windows, Macintosh or Linux). Take your choice of one or all three! 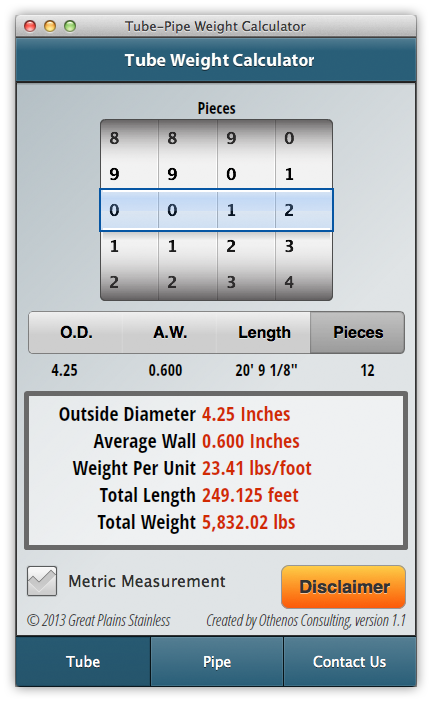 To download the Desktop version of the Tube & Pipe Weight Calculator, click on the ‘Install Now’ label. Note: This should install on any desktop, including Mac or Windows. You might need to install and/or upgrade the free Adobe Air application. However this should be straight-forward by following the prompts. 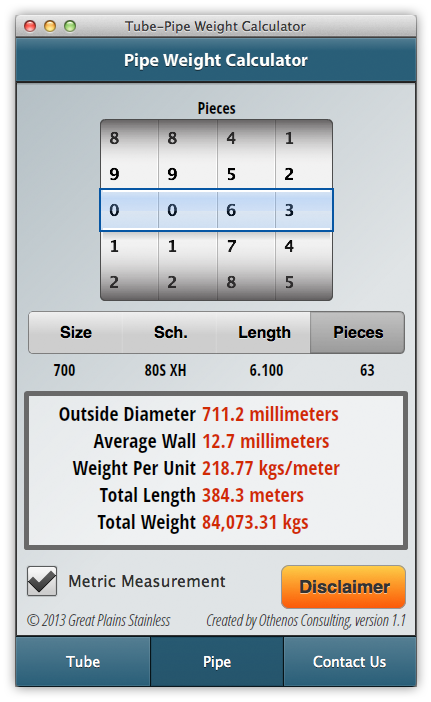 To download the iPhone version of the Tube & Pipe Weight Calculator, click the App Store icon to go to the iTunes App store. To download the Android version of the Tube & Pipe Weight Calculator, click the Google Play icon to go to the Google Play store.